The story of Madam White Snake sees an online version as many younger viewers appreciate its timeless appeal. 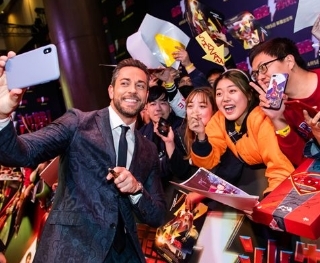 China's rich history and culture provide film scriptwriters with a reservoir of inspiration to develop stories for global audiences, said a U.S. film industry insider on Sunday. ​Two Chinese documentary films debuted at the Season Eight Asian film festival held in Chicago over the weekend. ​People-to-people exchanges between China and the United States contribute to better mutual understanding between the world's two largest economies, a U.S. documentary producer has said. The well-reviewed, relatively modestly budgeted "Shazam!" debuted with $53.5 million in ticket sales over the weekend, handing DC its latest critical and box-office success. 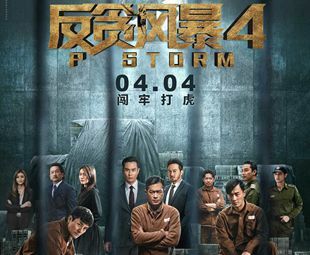 Hong Kong action thriller "P Storm" was the highest grossing film on the Chinese mainland market on Sunday, according to China Movie Data Information Network. ​Hong Kong action thriller "P Storm" was the highest grossing film on the Chinese mainland market on Saturday, according to China Movie Data Information Network. ​A museum based on the cult movie "Valter (Walter) Defends Sarajevo" was opened on Saturday here in the capital of Bosnia and Herzegovina, bringing back memories of 1970s when the movie was wildly popular, as well as values of anti-fascism and unity of the former Yugoslavia.